…..doesn’t mean that we shouldn’t — or couldn’t — be starting our seeds. 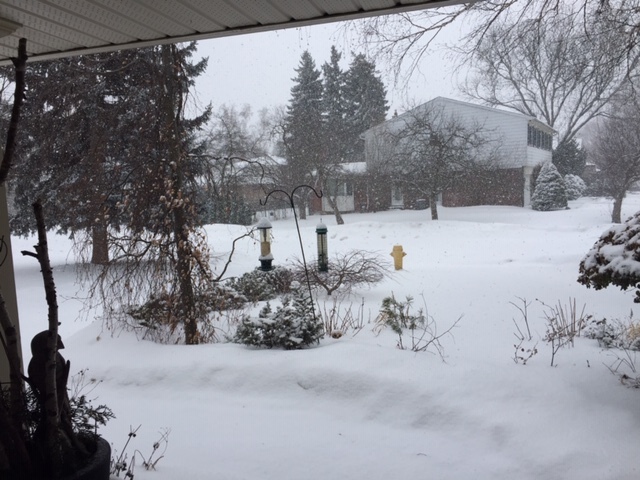 There is another snow storm today. It has been snowing for the past 6 hours and it is beautiful. But I have to admit that I am impatient for green and growth, and that usually does not bode well. Too often my seedling transplants have been leggy and overgrown and have either perished indoors while the ground was still frozen, or flopped shortly after planting outside. I know better. But I have a hard time doing better. Seedy Saturday at the Toronto Botanical Garden didn’t help. I came home with some beautiful soil, a number of seeds, and the irresistible urge to plant something. Anything. I capitulated and ended up sowing some sunflower sprouts (above, which already are starting to sprout in the past four days) and some ground cherries. Last year I had a hard time finding seeds so was thrilled to find them this year. 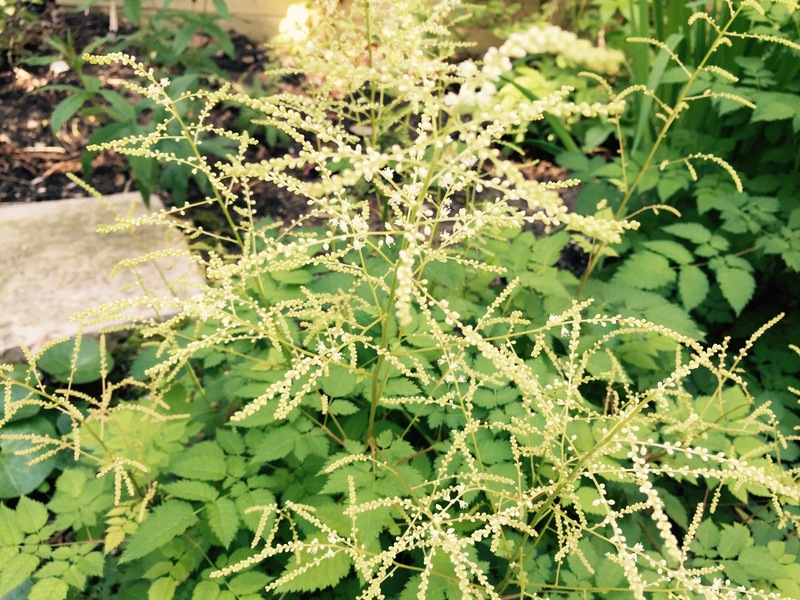 And with the best of intentions I have started to record the seed plantings in the Toronto Gardener’s Journal which sisters Helen and Sarah Battersby now have updated with Margaret Bennet-Alder. If you are like me, with pre-spring fever, check out the Savvy Gardeners website and note what vegetables they recommend for planting right now. Or perhaps, if you have more will power, perhaps give it another couple of weeks. Every year there are more and more brilliant coloured echinacea hybrids available but the tried and true native, the purple coneflower remains my favourite. It never stops giving: in the summer, it brightens up the garden and attracts bees and butterflies. In our cold season, the coneflowers provide winter interest, especially when snow falls on the spent seed heads, looking like intricate lace. These grow 30 – 48 inches tall (75 cm – 120 cm) and provide many features: they are long blooming, drought tolerant, can be an accent in the garden and make lovely cut flowers. Even though these are my favourites, I still love some of the newer hybrids in oranges, peaches, corals, and reds. These self-reliant plants are designed for the lazy gardener. 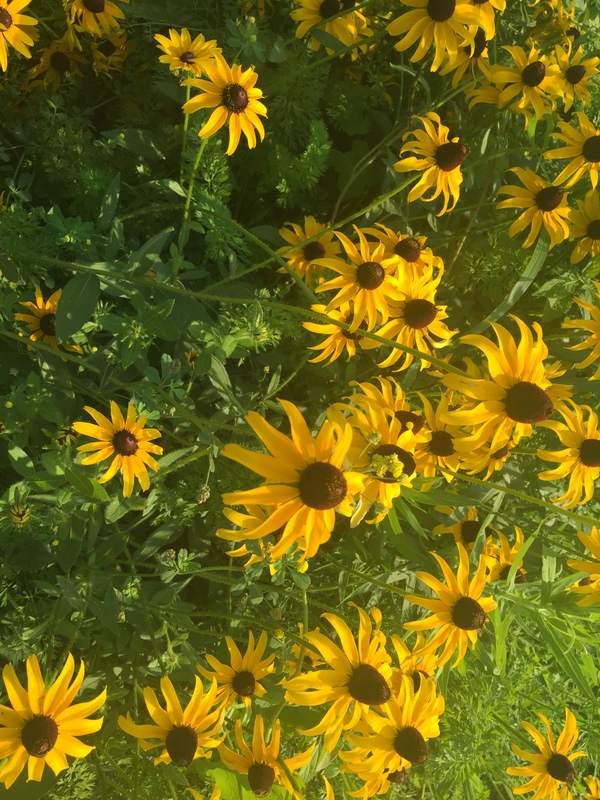 There should be a song: Black-eyed girl, because Rudbeckia fulgida ‘Goldsturm’ are singing in gardens, urns and in the wild at this time of year. 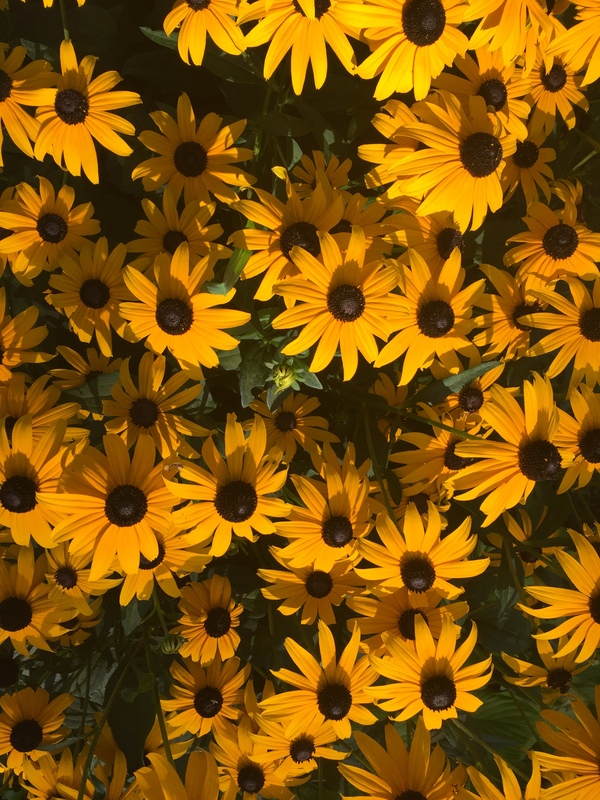 Black-eyed Susans come in many varieties and sizes, but ‘Goldstrum grow about 24-30 inches tall (60-75 cm) in zones 3-9. These native, long-blooming flowers are a wow factor in the garden right now, and will often bloom well into the fall. 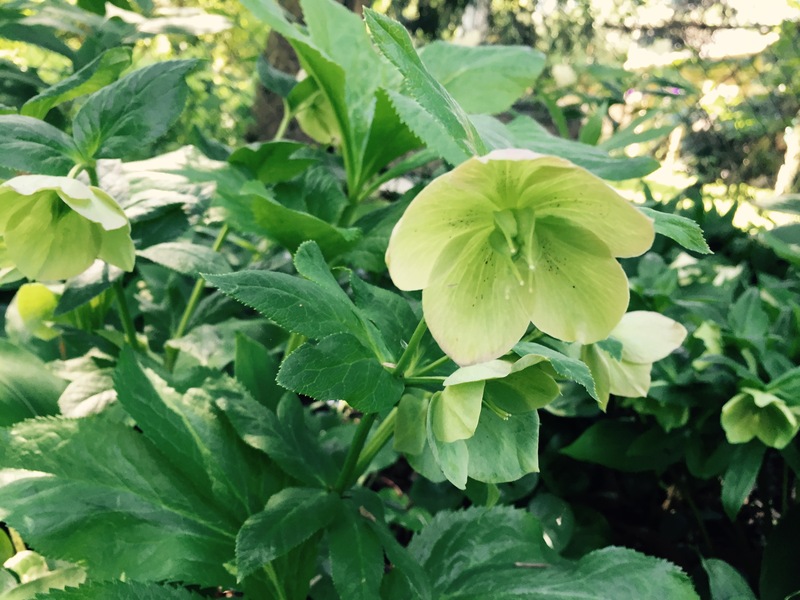 They are easy to grow in just about any soil, and spread easily and quickly in the garden – take that as a blessing or as a warning. 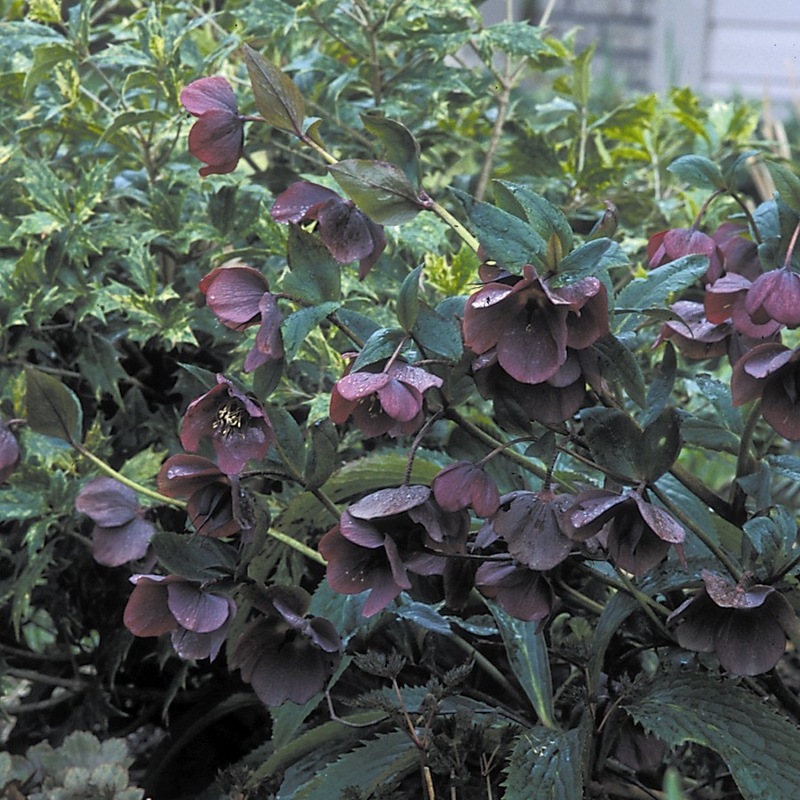 Use them to attract butterflies, as a cut flower or accent, in sun or part shade. These wispy beacons of colour are attracting bees and pollinators as they shine this time of year. Crocosmia or Montbrtia can be used as specimens in the garden, accents or as cut flowers. The Crocosmia Lucifer (zone 5-9) reaches 36-48 inches while Crocosmia x Crocosmiiflora is about 24 inches high. Their flowers are delicate and add a tropical feel to the garden and have been blooming the past three weeks. 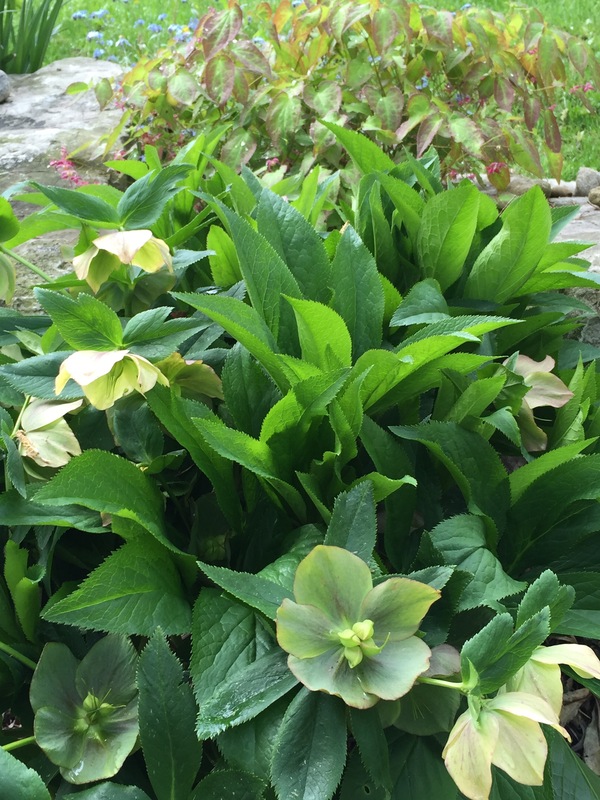 The added beauty is that their airy form provides peaks of neighbouring foliage and flowers planted around them. The squirrels seem to ignore the bulbs when we planted them last fall – so far. Another low-maintenance plant. 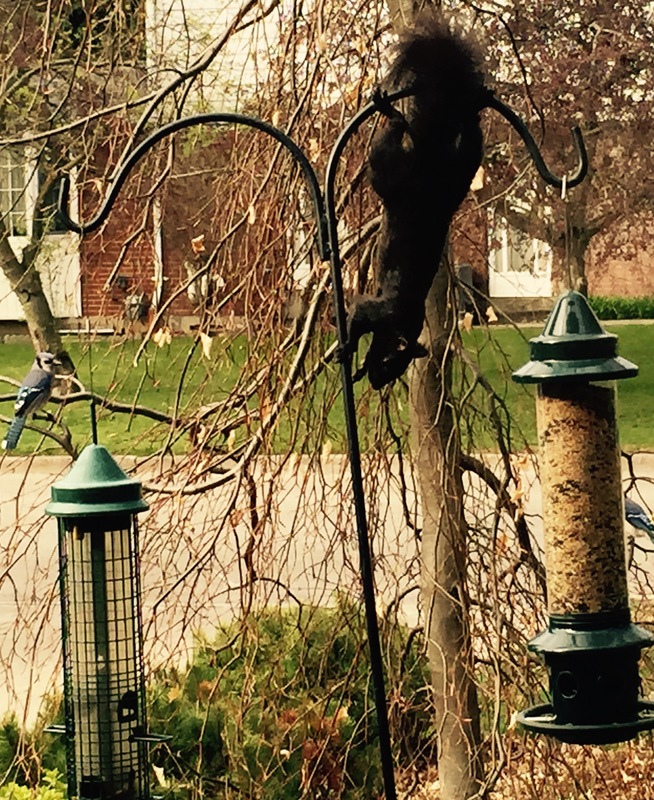 Below is a photo of our squirrel-proof bird feeder which teaches us that there are no guarantees in the garden. We may as well be relaxed because plants we don’t recognize will pop up, others we will have lost in our freeze and thaw of a winter. I am getting restless watching the days lengthen, the sunshine and birds returning. I want to get into the garden and plant or dig or seed. Yet I know it is too early, and patience is required. Other than watch squirrels eat our birdseed, one thing we can do now is to prune our Japanese Maples. While the branches are bare, or almost bare, we can see their shapes and the form of the tree as a whole and gently prune it to our liking. 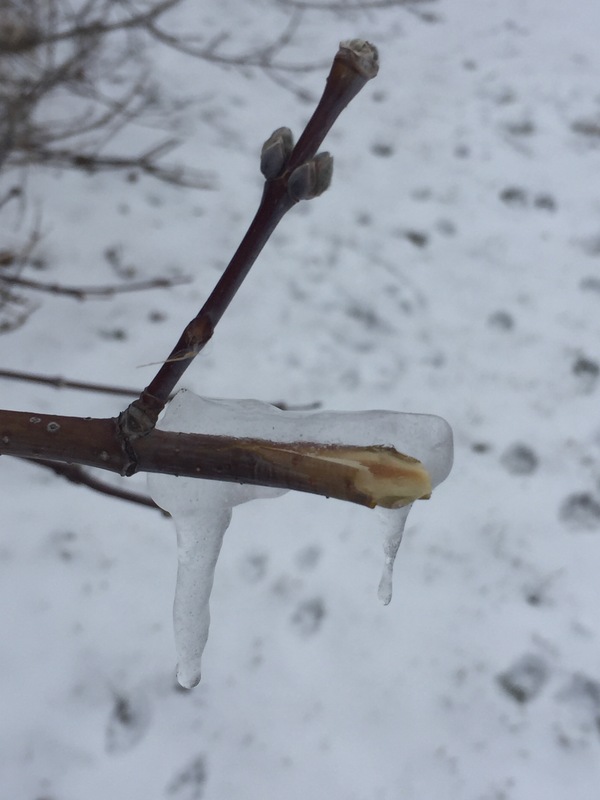 Why we do it now is that we want to prune before the sap begins to wake up and circulate through the branches. Spring reminds us all to wake up after our long gardening hibernation. Time to take stock and think about the coming season. 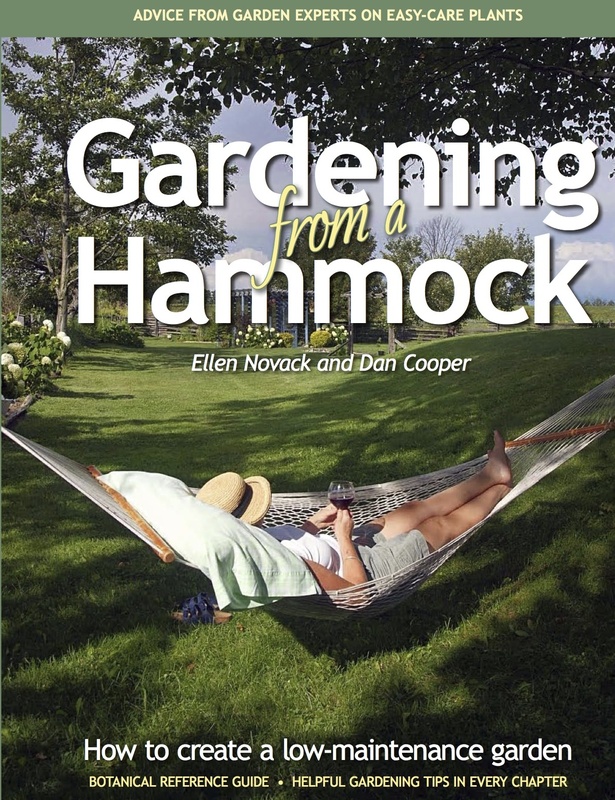 In Mid Life kindly mentioned Gardening from a Hammock in his blog on how to make gardening easier. I hope this helps — and watch out for squirrels. 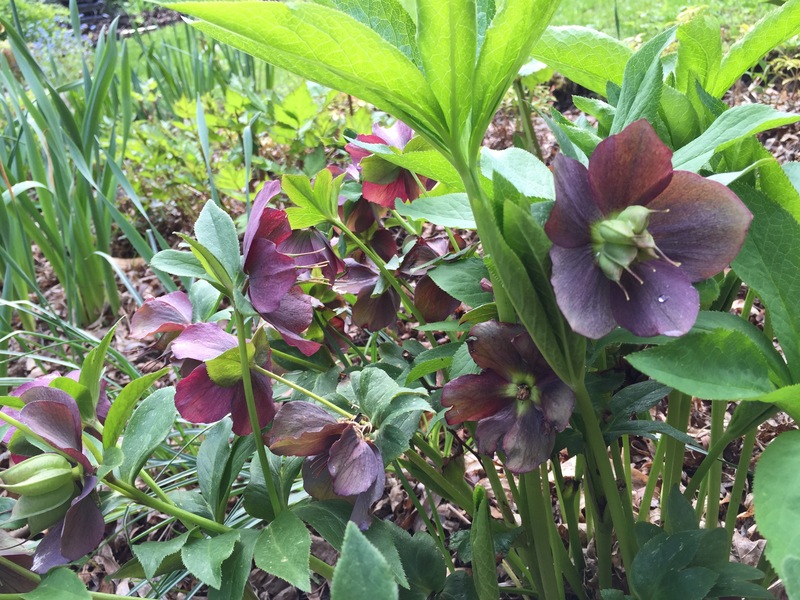 In one month it will be spring and despite the snow and cold, (and perhaps with the help of a glass of wine) I can visualize the early bulbs poking up and the forsythia glowing with yellow flowers, and the hellebores coming to life. I don’t think of all the dog droppings to pick up, or broken branches to prune or the tidying up I didn’t do in the fall. That will wait. Daydreaming brings me along in time, to summer and here’s where those wonderful seed catalogues come handy. 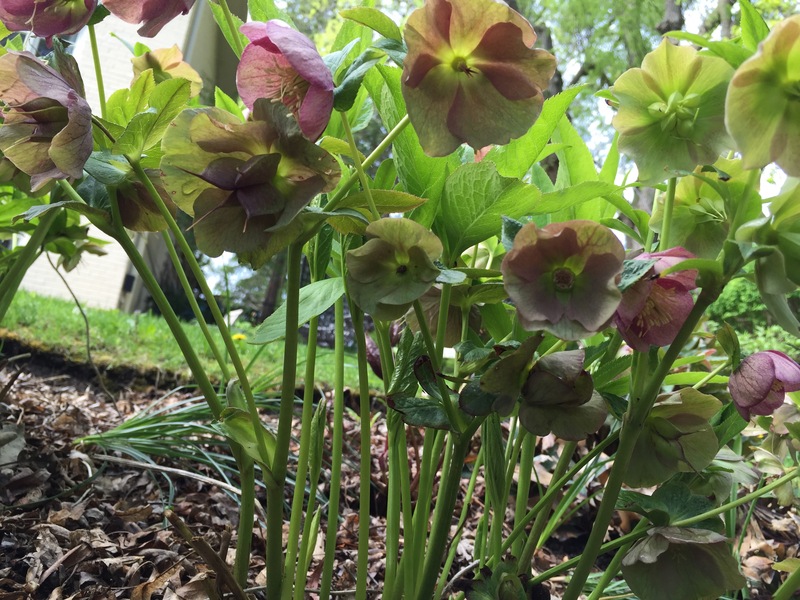 Although planting seeds inside and watching them grow brings joy and anticipation, if you are a low-maintenance gardener, you may only want to look at the photos. Consider though, that there are lots of seeds you can simply scatter in gently prepared soil outside once the weather warms the earth. 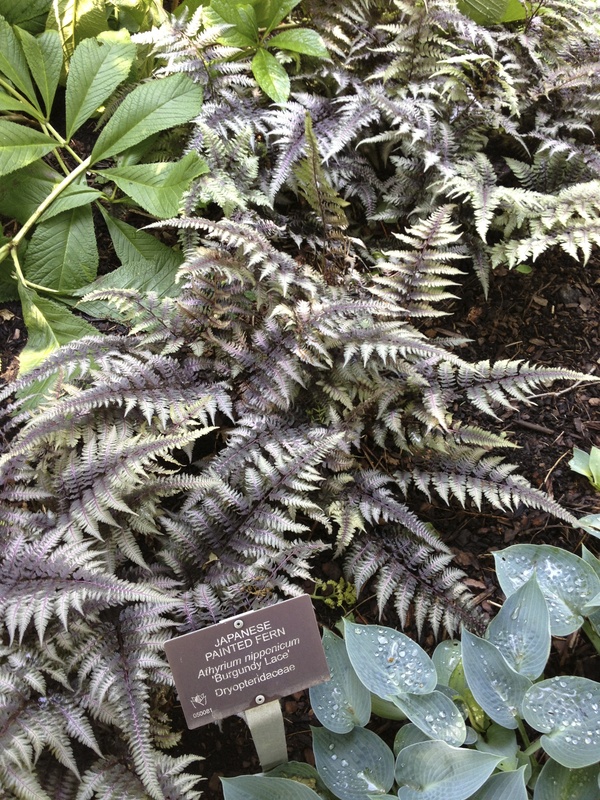 At Renee’s Garden (https://www.reneesgarden.com), you can check out its Easy to Grow Seed Collection online. Order, receive seeds, and then anytime in the spring – or even early summer if you misplace the envelopes – scatter the seeds in a container, or on the ground, and enjoy fresh herbs or annuals. Another website we love is Savvy Gardening (by four women, including our talented Canadian friends Tara Nolan and Niki Jabbour. 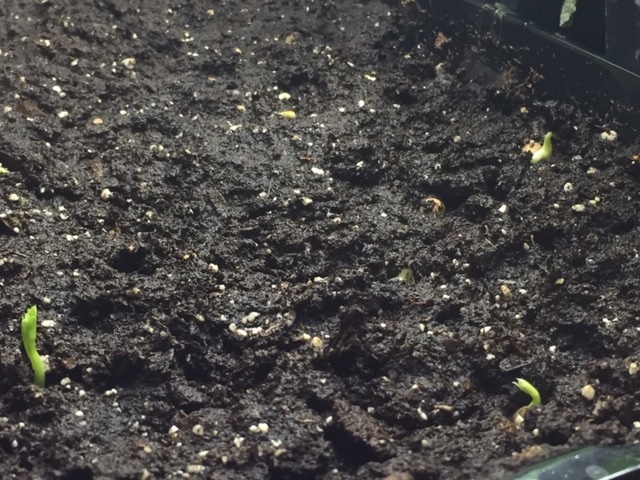 Their website (https://savvygardening.com) provides excellent information on starting seeds.